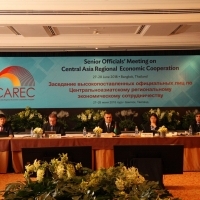 Updates on major regional projects and power trade activities were discussed. 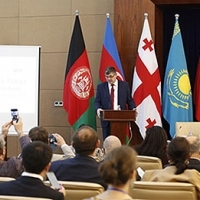 The Government of Georgia also organized a site visit to the Adjaristsqali Hydropower Project. 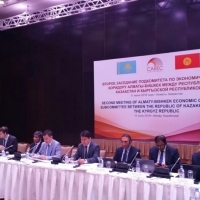 Members of both organizations discussed issues including utility of Corridor Performance Measurement and Monitoring or CPMM results as tool for improving border management, development of standards to benefit both customs and freight forwarders, and strengthened customs to business dialogue mechanisms. 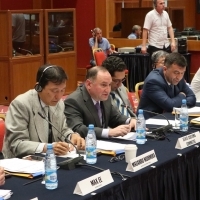 Customs representatives from each CAREC country provided updates on the CCC priority areas as well as ongoing customs-related initiatives at the national level. 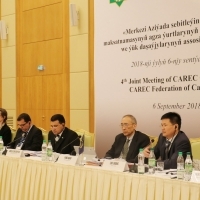 Members of the CAREC Federation of Carrier and Forwarders Associations (CFCFA) were updated on the organizations’ progress and achievement including the development of the CFCFA recommended standards. 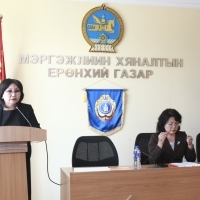 Mongolia was the first CAREC member country to establish its SPS National Working Group, as part of the activities of Knowledge Support Technical Assistance 9500: Modernizing Sanitary and Phytosanitary Measures to Facilitate Trade (KSTA 9500). 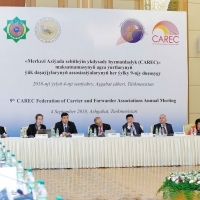 Senior government officials of the 11 CAREC countries and representatives of multilateral development partners reviewed the progress made to date on the implementation of the CAREC 2030 strategy. 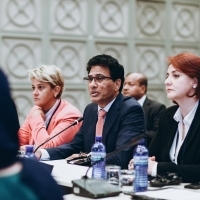 Delegates deliberated on the framework and scope of the CAREC Integrated Trade Agenda (CITA) 2030 and its accompanying Rolling Strategic Action Plan 2018–2020. 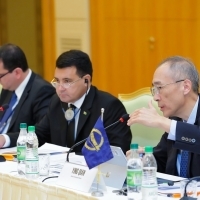 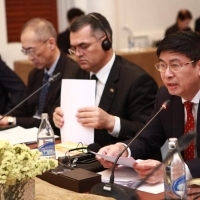 The meeting facilitated the discussions and agreements toward establishing modern agricultural wholesale markets, developing tourism clusters, and facilitating efficient border crossings in the Almaty-Bishkek Economic Corridor.